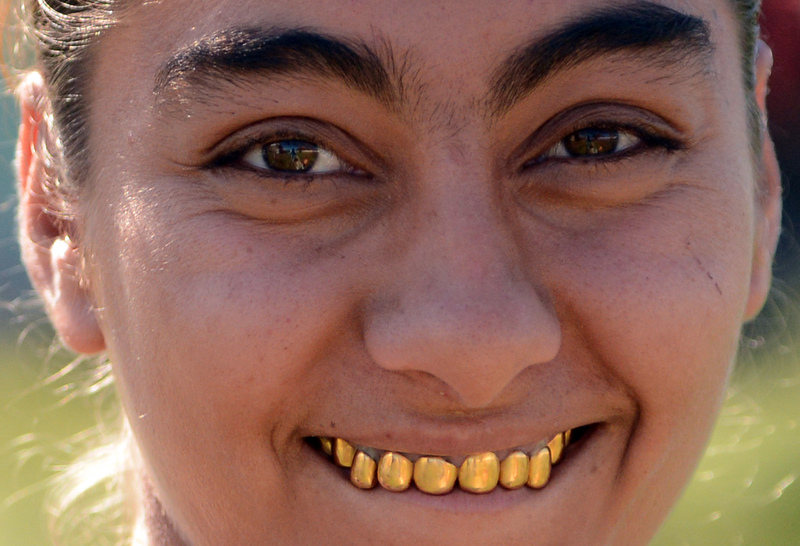 A member of the Roma community smiles with her gold-encrusted teeth in the village of Pidvynogradiv near the Ukrainian city of Vynogradiv in Transcarpathia on September 8, 2013. Members of this conservative group of Roma, locally known as the “Hungarian Tent Gypsies”, are known for their bright-coloured clothes and their set of golden teeth, considered to be a sign of wealth and status in the camp. By Yuriy Dyachshyn/AFP/Getty Images.